Avoid property damage due to sun exposure and high temperatures with a quality metal building, RV cover, or metal garage. Now available with Free Delivery and Installation Nationwide through Elephant Structures. RV Garages, Class A Motorhome Carport Covers, and Custom Metal Buildings. 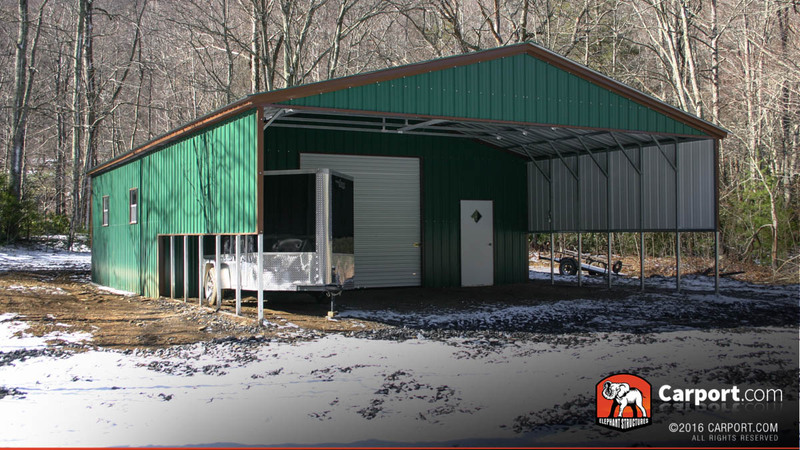 It’s easy to protect your vehicles and lawn equipment from the summer weather with an economical metal building. Elephant Structures Now Delivers And Installs Metal RV Carports and Garage Buildings Nationwide. These days efficient storage is a hard thing to come by, especially consumer conscious products with longevity and expert design. Without storage, a lot of high quality consumer items degenerate fast. It’s infinitely frustrating to be finally able to finally afford a boat, RV, or classic car only to see the sun and severe weather cause irreparable damage. The outdoors is a great thing that many of us want to enjoy peacefully in our spare time without constantly having to worry about what’s happening to our stuff when we’re out of town or asleep at night. It’s imperative that an economical solution for RV carports and Metal Garage Fabrication exists, and luckily it does. Elephant Structures is a company that’s been in the metal building business for 37 years. They know what they’re doing when it comes to fabrication and engineering for longevity. They wouldn’t be around for as long as they have otherwise, and they have personally taken the effort to learn about the consumer’s desires each year they have been in business. It’s also important to have many customization options that allow for customers to get exactly what they need without having to compromise. Their buildings come in many different colors, barn red, burgundy, brown, forest green, beige, tan, galvalume, clay, white, dark gray, light gray, and slate blue. It’s worth mentioning however, that those are only the color customization options. Each building is massively customizable structurally, down to the wind speed and snow load that each can handle through a certification process. The walls can be configured in whatever manner the customer needs, as well as the ends, doors, and windows. There are a plethora of sizing options, along with height and sq. ft. There are three different types of roof structures available in their metal garage series. The regular roof, which is the base line curved roof option. The boxed eave which is an upgraded style with an angled pitch and overhand. The vertical roof option has hat channel that upgrades the strength of the roof tremendously, even without certification. Also, the paneling on the vertical roof motivates rain due to it’s orientation to fall to the sides of the structure. Keeping the owner a little drier if they need to retrieve their property or make it back inside after storing it. 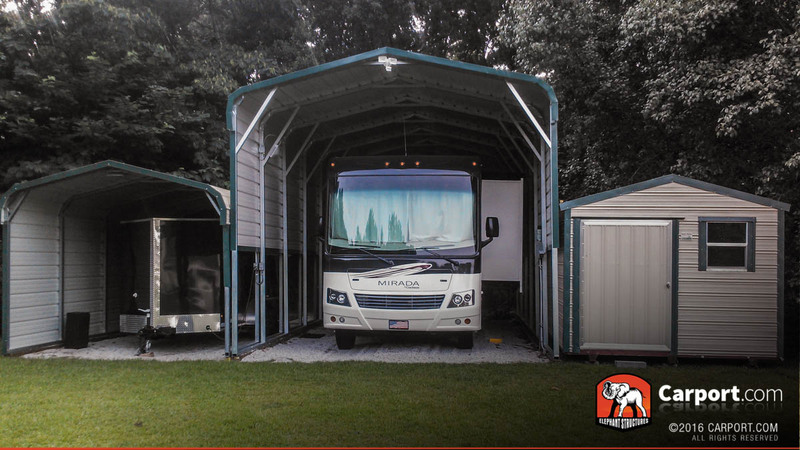 There are lean-to structures that can compartmentalize the storage area, in case it is desirable to keep an RV in the base structure and lawn mower on the side. These are just as customizable as the main structure is, allowing for extra garage doors, windows, and walk-in doors which they offer as well. So, one might be thinking, “What’s the catch here? When it comes time for installation and delivery.” Well, the fact of the matter is that Elephant Structures has some of the quickest turn around in the business at 4-6 weeks and all with free installation and delivery. That alone is motivation to take a look at their product. Many companies will charge for installation and delivery almost as much as the cost of the building itself. Or they’ll shortcut Elephant’s prices with a building that will need to be replaced in a year or two due to shoddy construction and insufficient gauge of steel. Not Elephant. I guess they’ve learned over 37 years that treating the customer with respect and dignity is the best way to stay in business. Call now in order to hear about specials, or visit their website and use their state of the art online builder to customize a building on the couch and get a quote instantaneously. The person to person method is tried and true however, and Elephant knows this. They offer free consultation from all of their building advisors in whatever type of building that is needed. Protect an RV, boat, vehicle, or all three today with top of the line custom metal garage fabrication with Elephant Structures. Looking for a metal building? Browse photos for inspiration, or check local pricing of various style buildings at http://www.carport.com where you can conveniently shop online with local pricing. Their buildings are delivered and installed anywhere you need protection from the sun. 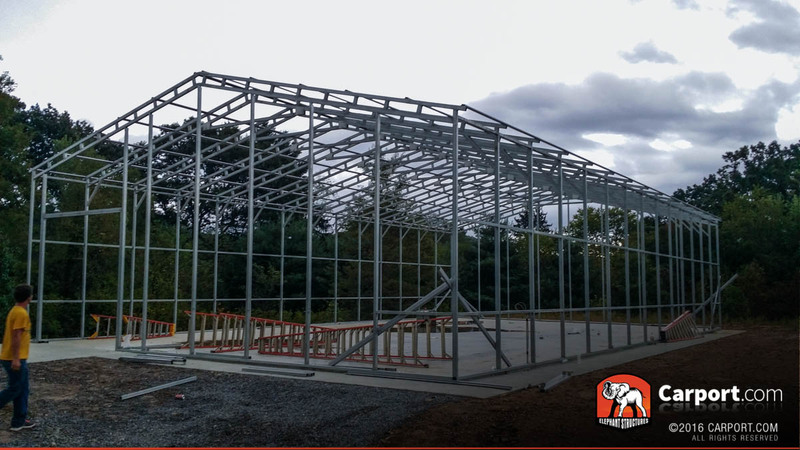 Call 888-654-8299 for complete details about your metal building options with Elephant Structure. Custom 40x80 metal garageCarport.com delivers and installs metal garage buildings nationwide, shop local pricing online. Metal Garage and Carport CoversCustomize your metal garage or carport cover at Carport.com RV Garages, Class A Motorhome Carport Covers, and Custom Metal Buildings.Property with Class A Motorhome covered with metal garage, carport, and a storage building for equipment.